In a survey of 5,000 The Big Deal (ThisIsTheBigDeal.com) members we asked them to rate their current energy provider out of 5. 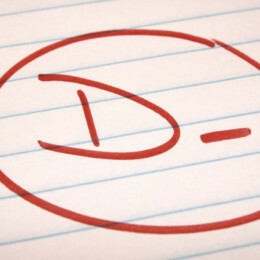 The findings show that Npower is the lowest rated supplier with a rating of 2.34 out of 5. EDF is the highest performer, but still only manages 2.89 out of 5. None of the Big Six are rated 3 or above. "It's no surprise the Big Six are rated so poorly. Constant price rises have led to widespread disillusionment. The only way to challenge the Big Six and get cheaper energy bills is through people power. By joining together through ThisIsTheBigDeal.com, we can get better rates for all." Since 2005 the average annual dual fuel (gas and electricity) bill from the Big Six has more than doubled from under £600 to over £1,200 (Consumer Futures, Jan 2014), with profits for energy providers soaring. Between 2009 and 2012 the Big Six's profits from supplying households more than quadrupled, rising by £1bn (Ofgem, Nov 2013). "Prices are too high. We can group together and demand cheaper deals. There's power in numbers." "Switching the whole time is such a hassle. Peace of mind and not having to worry is what it's all about." 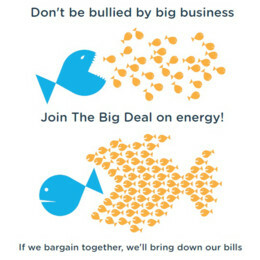 The Big Deal is a national campaign for cheaper energy bills. It brings people together to harness their collective buying power to deliver lower bills.